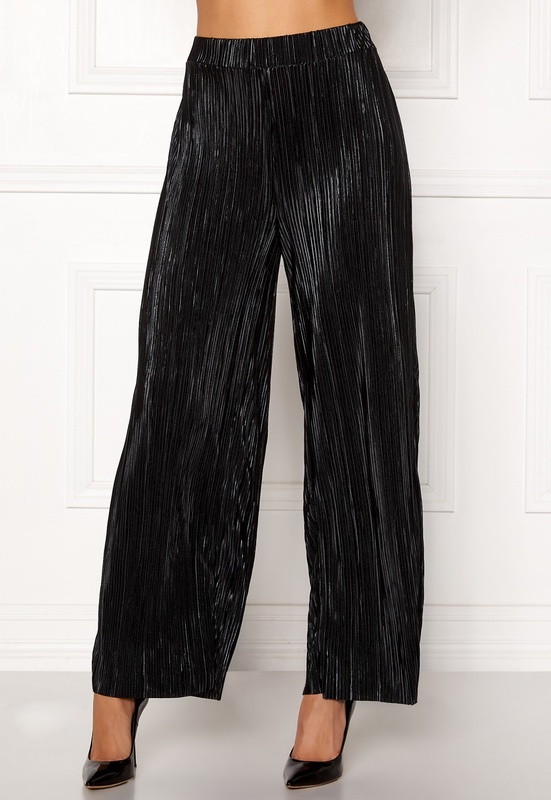 Elegant, pleated pants with shimmer from VILA. The dress is a great fit and perfect for both everyday wear and parties. - Stretch quality - Elastic waist - Wide legs - Raw lower hem - Pleated texture with shimmer - Slightly see-through fabric Inside leg 77 cm, front rise 32 cm, waist 70 cm in size 36. The model is 178 cm tall and wears a size 36. Machine wash at 30 degrees. The pants can be worn as a set together with the Frances New 3/4 Top.